This entry was posted on March 18, 2010 at 9:17 pm and is filed under art, haiku, Japan. You can follow any responses to this entry through the RSS 2.0 feed. You can leave a response, or trackback from your own site. what a lovely exhibition and creative collaboration, congratulations! This is great. Your talents are like your friendship, perfect together. Congrats to both of you. 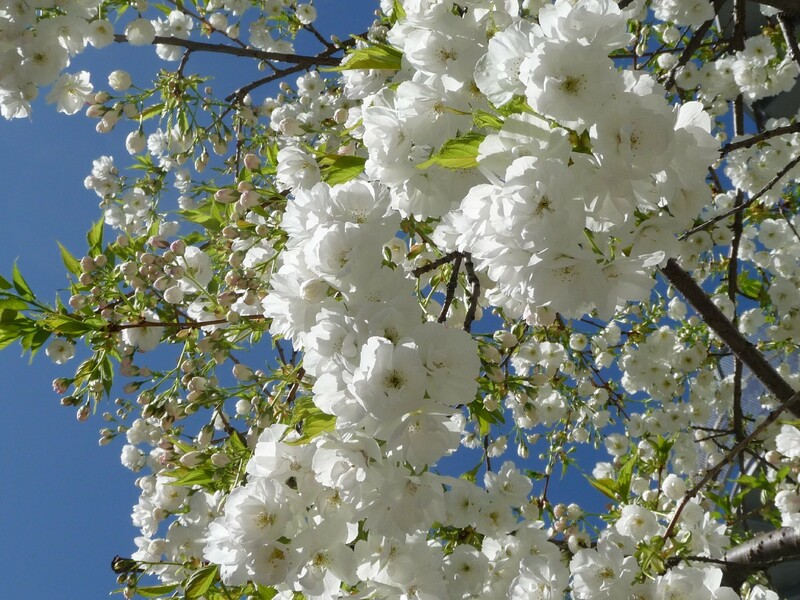 Artistic creativity in bloom. I wish I wasn’t so far away. 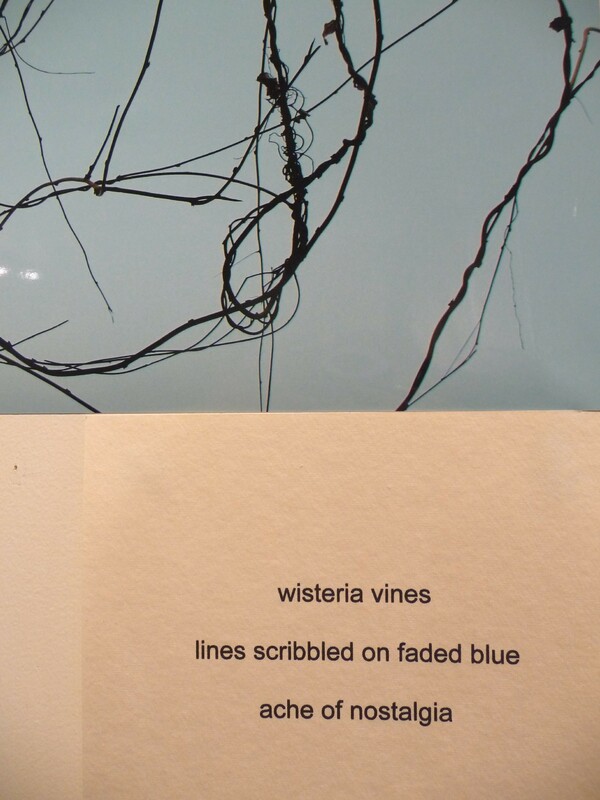 I actually liked the wisteria vines and the haiku that went with it. So cool! I’m definitely going! What a beautiful looking exhibit. I wish I could see it in person. (I’ll tell my mom to go.) Congratulations! Thanks everyone! It was a lot of fun to put together, and it feels good to know someone has seen and appreciated it (even if just through this blog post). I would also like to thank Ruriko, the owner of Sawa, for allowing us to put on the show. Ruriko is a super-cool and generous and she makes a delicious salmon donburri too. Drop by some time and chill out. Do people still say “chill out”? Thanks for posting the photos of the photos. The Haiku is a complement. Nice show! Jealous, jealous, jealous. At least you weren’t in Japan. 😉 Just kidding. Nice photos and lovely haiku. Very glad to see your post. I wish I could have seen your show. The pictures look fabulous. Thanks for the positive comments! Jean-Pierre’s photos always make me wish I could head to Japan for another visit. I didn’t know my cousin was so talented! Jean-Pierre, I am sorry I will not get to see the rest of the exhibit. Jacqueline – the haiku is wonderful. It’s almost as if you were there. Thanks Cheryl! I have visited Japan twice and travelled around with Jean-Pierre (he is a great host! ), so with the photos and some background info from Jean-Pierre, it was fairly easy to imagine being there. By the way, if anyone is interested, Jean-Pierre and I have known eachother since grade two. In grade five we were both given special permission to work on art projects whenever we finished other work early (the teacher had an art corner set up with easels and art supplies, and we pretty much considered it our corner). Our first collaboration was when we worked together on our highschool yearbook. Hello, that was a great idea from both of you, really creative. The pictures and haiku poems bring back pleasant memories from when I lived in Canada. I wish I could have seen the exhibition in person. Les dejo como tarea este mensaje en español. Para los amigos (patas, chocheras) artistas, muy bonita combinación fotos y poemas. Felicitaciones a los dos. Thanks Andre and Marita! So nice to hear from you both! It’s also great to have comments coming from around the globe. 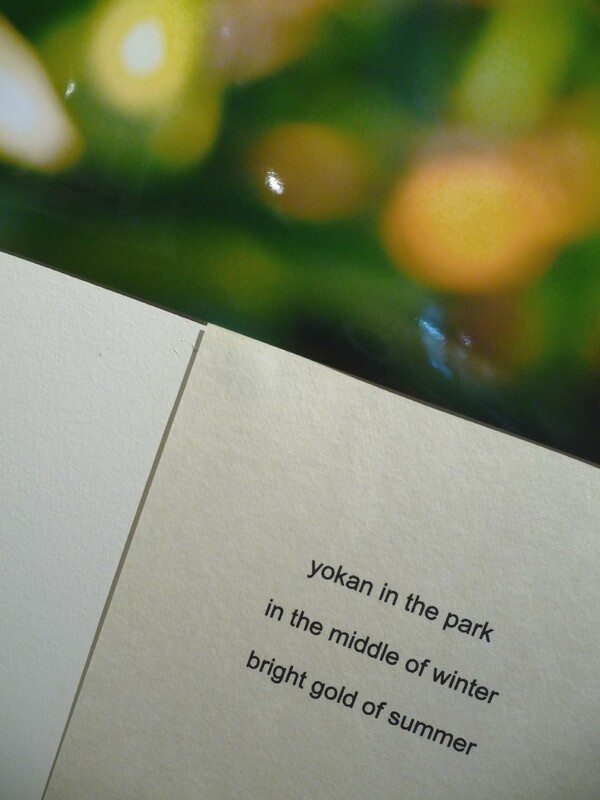 My favourite collage of photos and haiku are the yokan fruit pictures. Great blasts of colour. 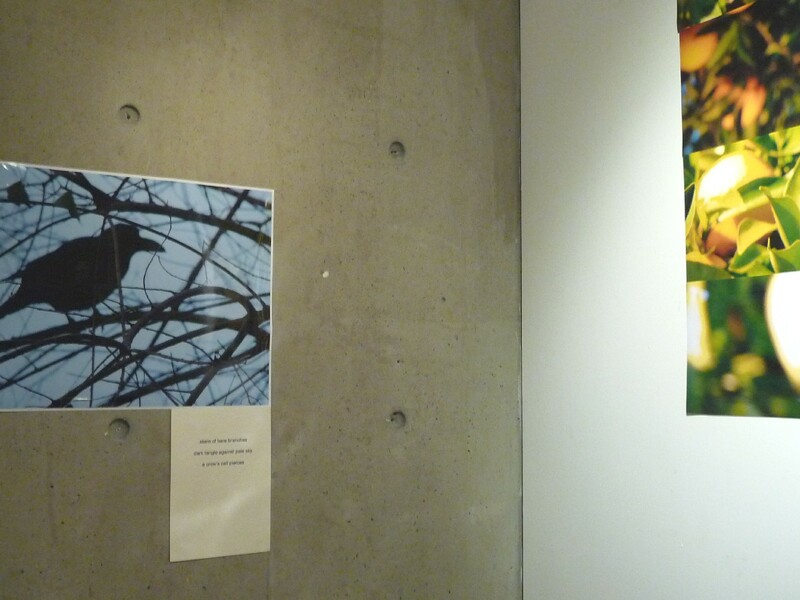 Also loved the crow in the branches and accompanying words and the tapestry photos. Rich in design but very peaceful. Great work and congratulations on your collaboration. You do really need a venue with more exposure though. 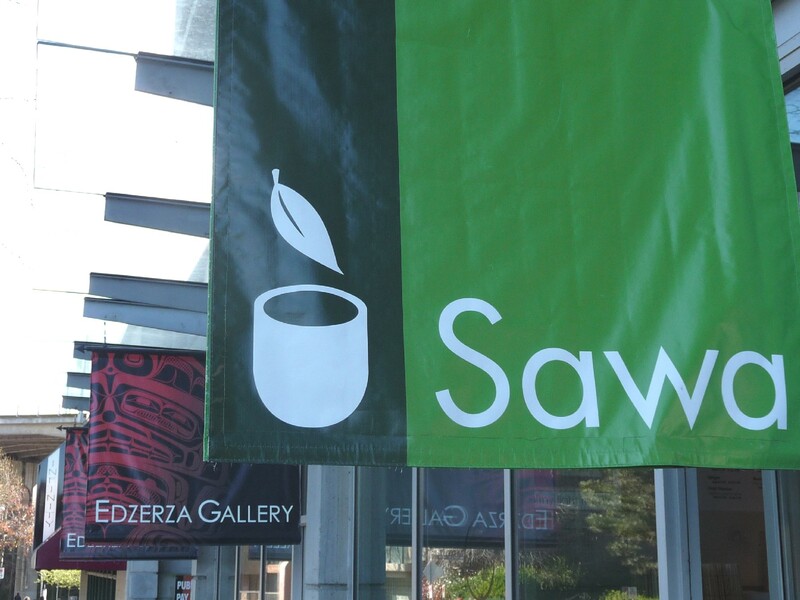 Sawa’s is a great place but I think the art work gets hidden and missed by many who would certainly enjoy it. Great work. We think that this exhibition should be shown in Japan upon Jean-Pierre’s return! Good idea Abigail! The yokan photos are my favourites too, Benita. Thanks for the comments everyone! 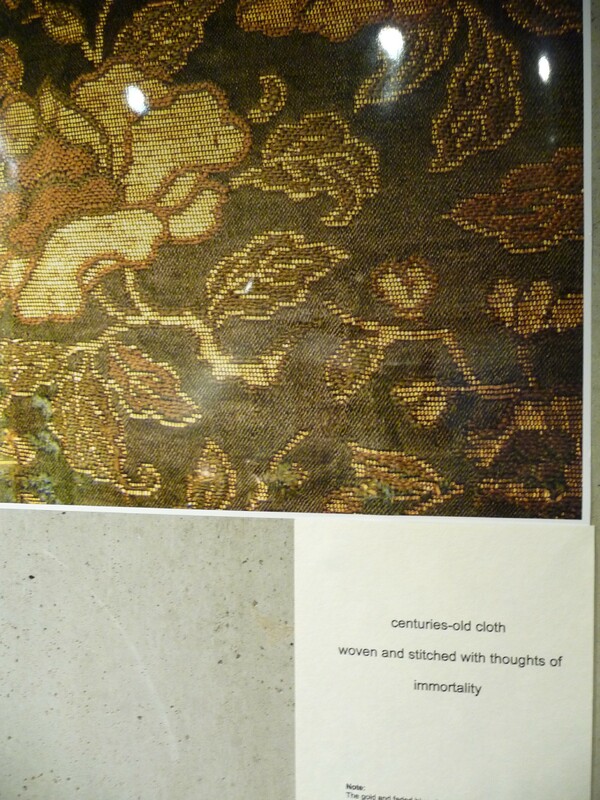 Hi Jaqueline – This looks like such a sensitive and thoughtful exhibition. I am glad you posted this on your blog. I will try to go down there to see it if it is still up. I love the way you have placed photos side by side and the haiku is a perfect partner to the images. I hope you have lots of visitors to see it. Congratulations! I love the wisteria especially. And I’m enjoying reading down the blog too, glad I stopped by here. JP, have a good trip back to full-bloom Japan! 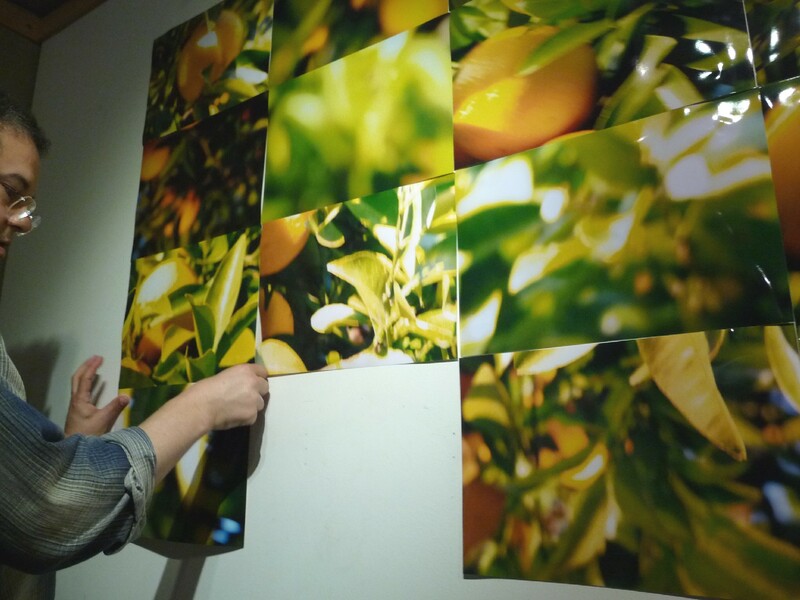 I like the yellow and green fruit and foliage photos very much and the tapestry photo. I loved looking at tapestries when I was in England. I’m at work, on my break, and all the photos are uplifting when I needed uplifting! The cafe/gallery looks interesting. Oh, this is just so pretty! Would any of your readers and/or yourself considering entering our haiku competition which is also for good causes? Reminiscing, I decided to repost this haiku-photo collaboration. 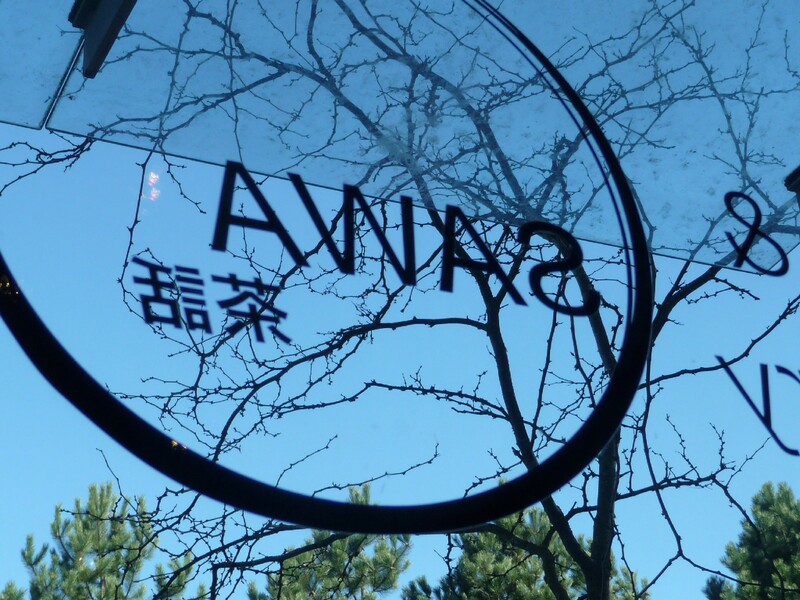 Sad to say that Ruriko, the owner of Sawa at the time, died of cancer a few years ago. Note: Yokan (or iyokan?) is a winter citrus fruit. Also, I feel compelled to point out that my haiku has progressed since this time, and this older haiku has some problems, though I still like the yokan haiku and the collaboration with Jean-Pierre’s photos. Thanks for re-posting. Brings back good memories. 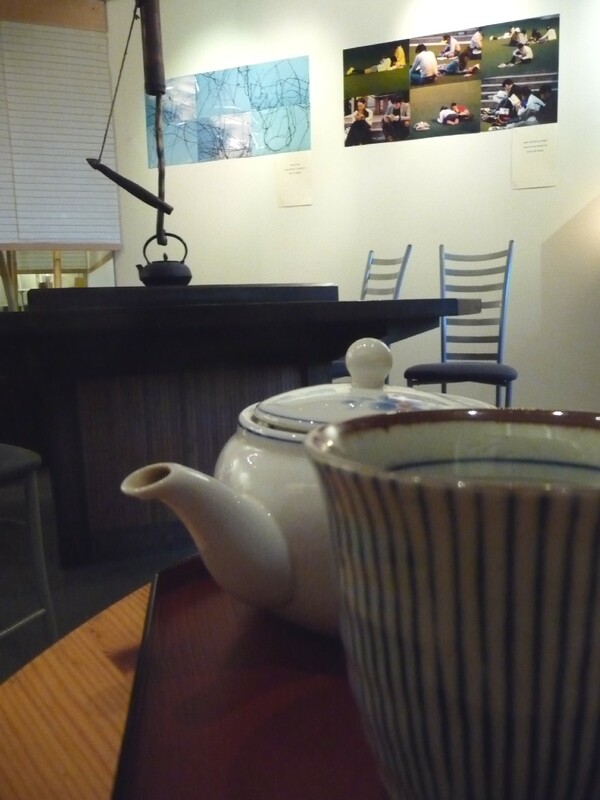 Sawa was a very nice, mellow place to hang out and sip some delicious tea on chilly, wet days. Ruriko, the owner, was the embodiment of generosity.